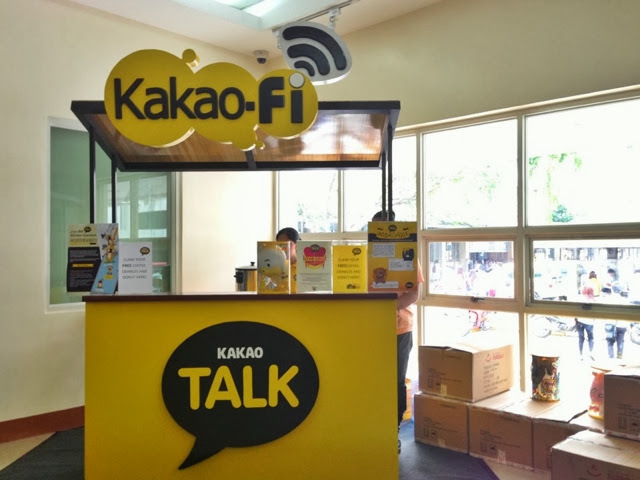 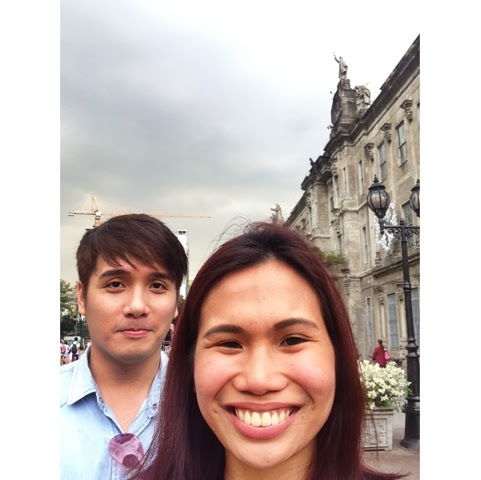 Join UST's Kakao Talk Kakao-fi university tour... And get the chance to win instant AND big prizes like gadgets! 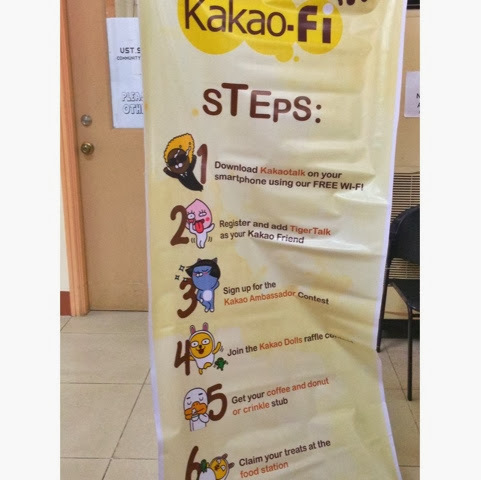 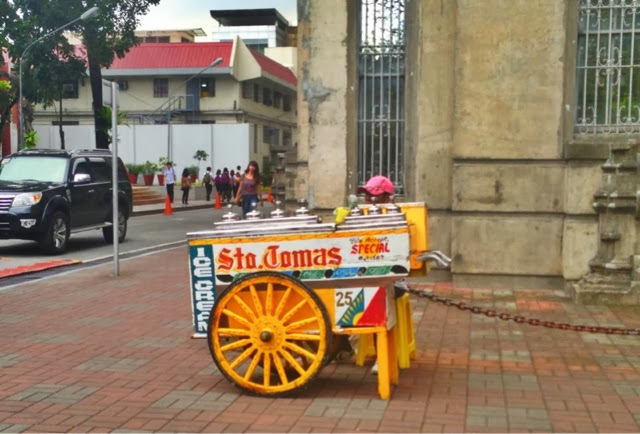 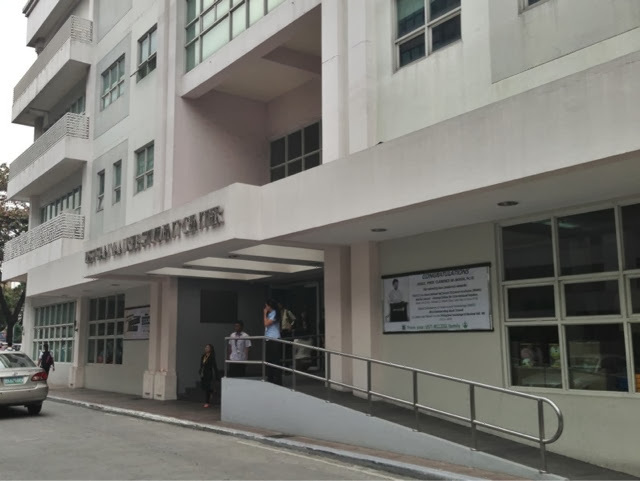 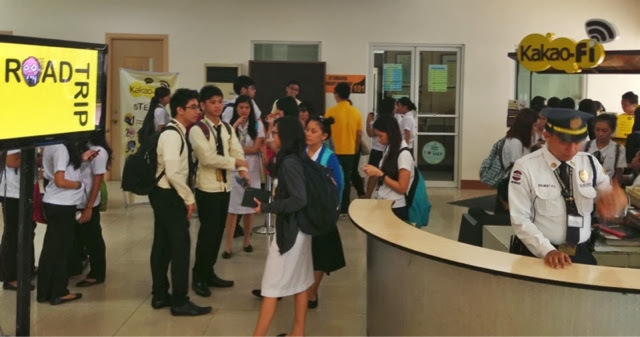 Register at the Tan Yan Kee building, and avail the free coffee and donut or crinkle para free na ang inyong recess. 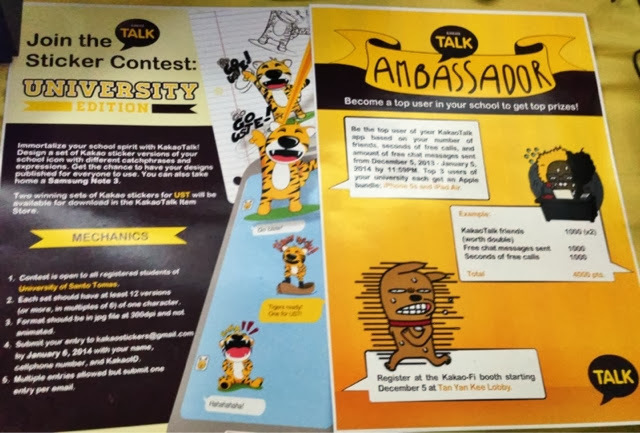 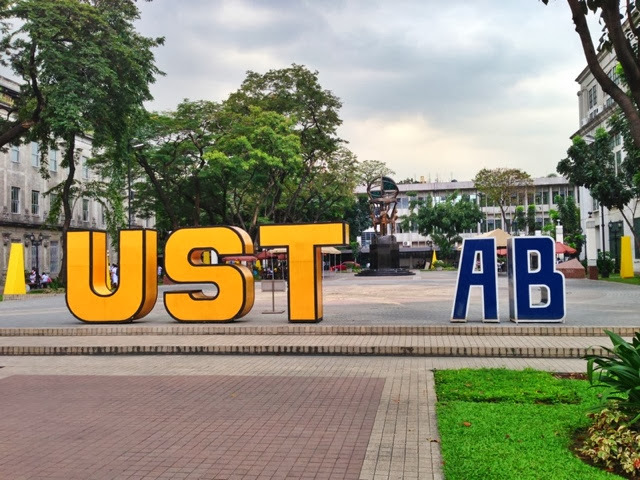 Also, by registering, you'll get the chance to win Kakao character stuffed toys in cute UST jersey, and be Kakao Talk's Ambassador! 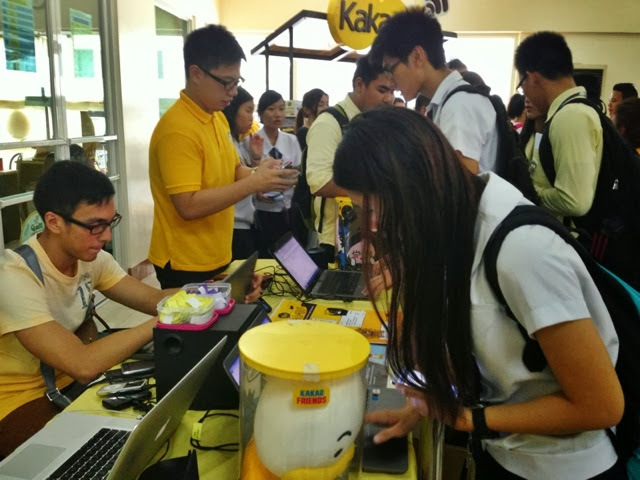 To qualify for the Kakao Ambassador promo, be one of the 3 active user who will win the "Apple bundle"--consisting of an Ipad Air and iPhone 5S! 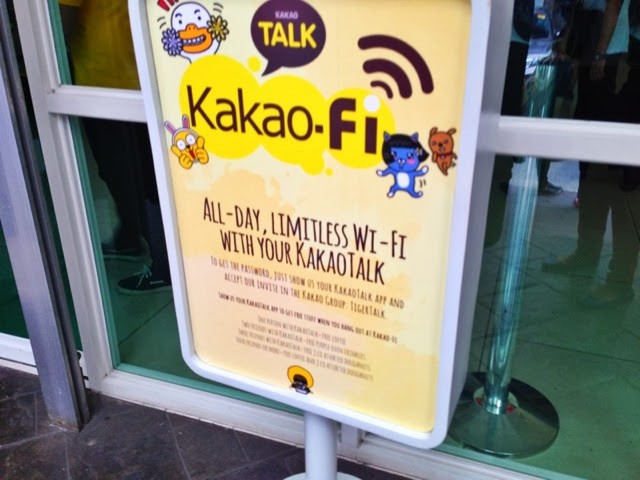 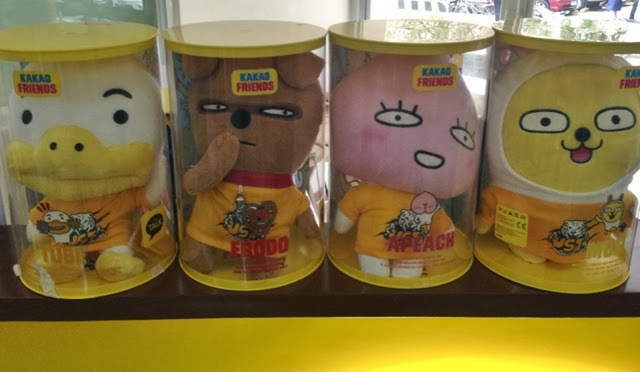 Kakao is also holding their design your own Kakao stickers. 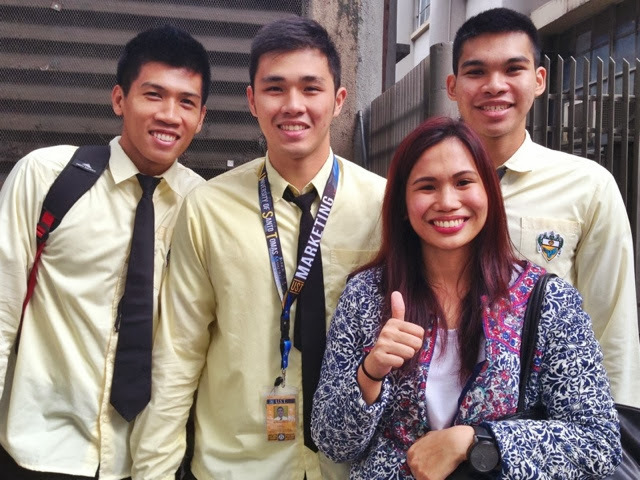 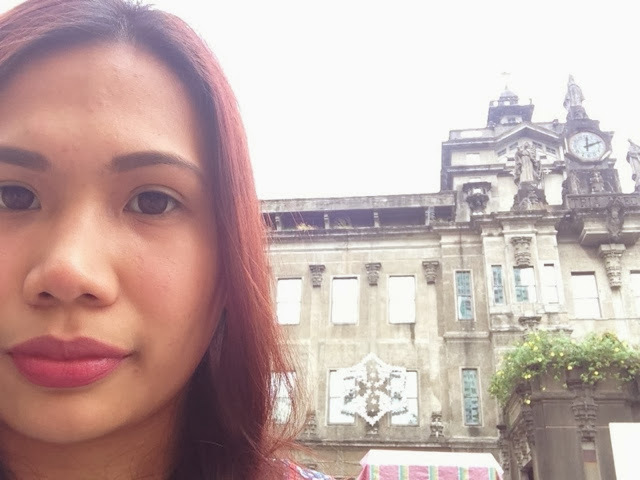 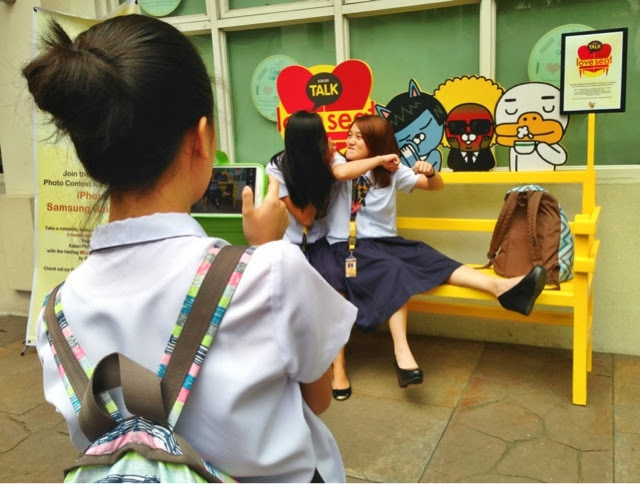 Be creative and immortalize your school spirit, and win a Samsung Note 3 when your stickers win! 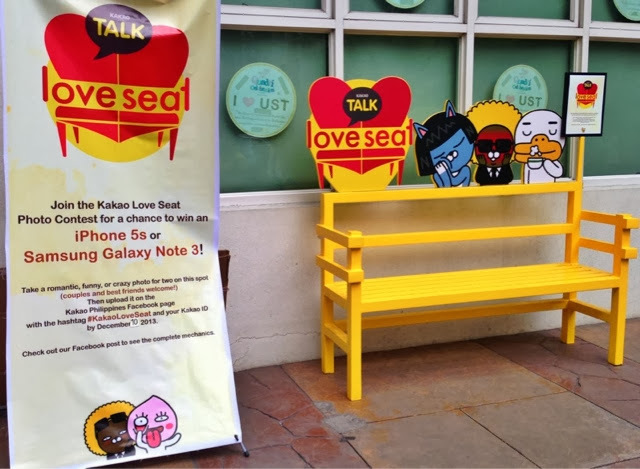 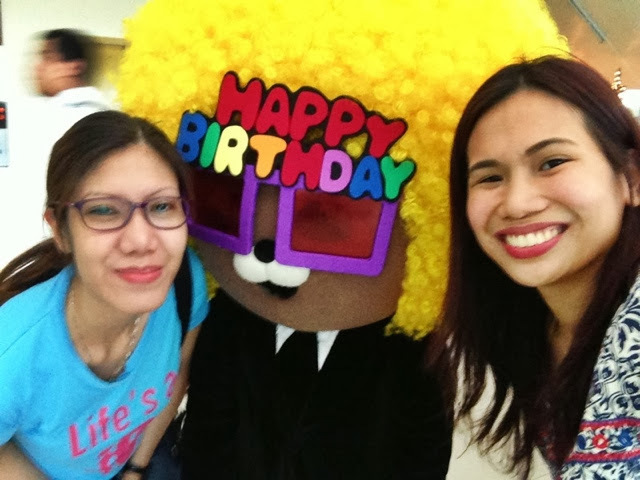 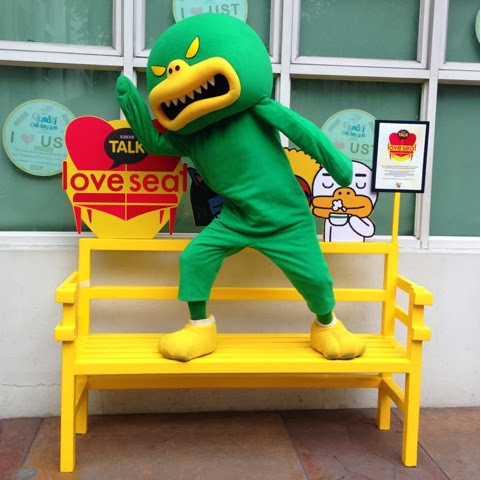 And lastly, win or lose, you and your friends will love taking and posting photos from the bright yellow Kakao Love Seat, with the iPhone 5S and Samsung Galaxy Note 3 prizes for the best posts!